Often clients ask whether they should simply pick the least expensive one from the bids or try to negotiate a good price with the best match. When faced with this question I typically use an analogy. 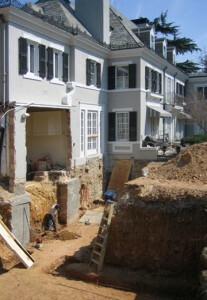 Alterations and additions, especially on an older home, are like root canals for the house. I shake my head and wonder why anyone would select a builder based on price alone. When it comes choosing a builder based on the bid alone, versus negotiating with the best choice for a better price, there really is no question. Price alone should not be the deciding factor. Indeed, cost is a very important consideration. But so are the builder’s experience, the quality of his work and his subcontractor’s, the builder’s financial stability, track record, reliability and sensitivity to your family’s needs and your comfort. Did I mention the importance of communication skills? Your builder must be able to communicate with both you and your architect. The best choice will have excellent recommendations. He or she will be able to communicate well with you and in the way you prefer –by phone, email, text or in person. The contractor will understand your family’s routines and sensitivities to noise and dust, will communicate clearly about expectations and schedule, will understand and be sensitive to your neighbor’s concerns for such things as temporary truck access and parking. 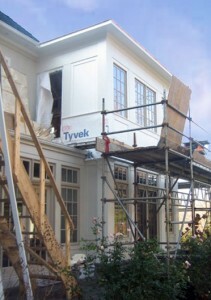 When it is needed, the right choice will go the extra mile, building a temporary exterior stair or a back-up kitchen, for example, to ensure the house is functional and as comfortable as possible during construction. 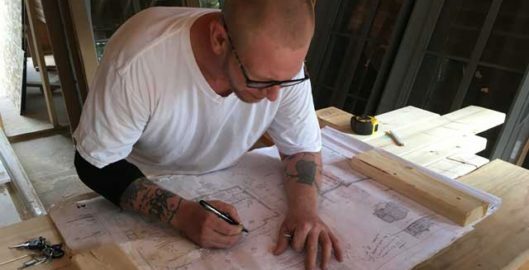 This builder may not be the cheapest guy in town, but really, is that what you want for you or for your home? When selecting a contractor, remember the root canal analogy. How comfortable would you be as the Novocain approaches knowing you chose that dentist on price alone? Instead, consider all the aspects that will make a difference in your comfort and the quality of the work. Sometimes the cheapest bid is the most expensive when all is said and done. Stephen Williams, President Crossroads Building, Inc.
You are spot on ! These are many of the same points I stress to my clients. We spend a great deal of time making our customers comfortable and safe. From temporary Kitchens, zipper barriers, sound proofing, seperate construction entrances, etc… Depending upon the site conditions and close proximity to neighbors, we will often introduce ourselves and give our contact number(s) so they feel comfortable as well. A few decent gestures seem to go a long way to positive relations !